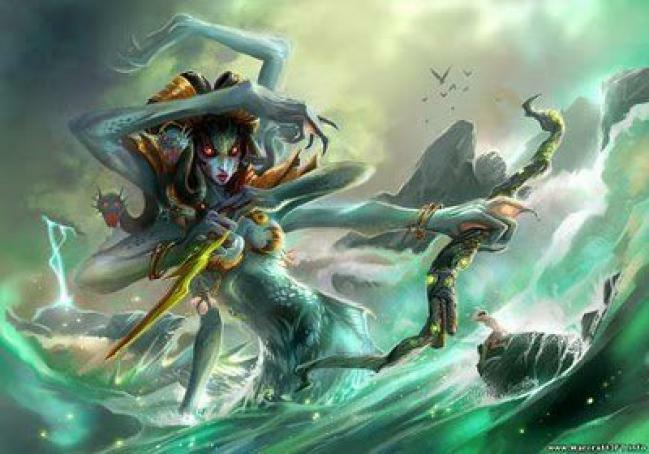 Naga Siren is one of the best cloner hero that can be used to do a big combo-wombo. Her clones can make her become one of the fastest farmer in the game. 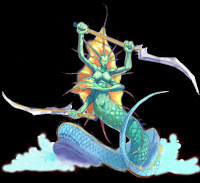 While Naga hersefl farming on top, her clones can do farm in jugnle, or even mid. Her combo is using her Song to make everyone goes sleep and to use all of combo skills after the sleep. 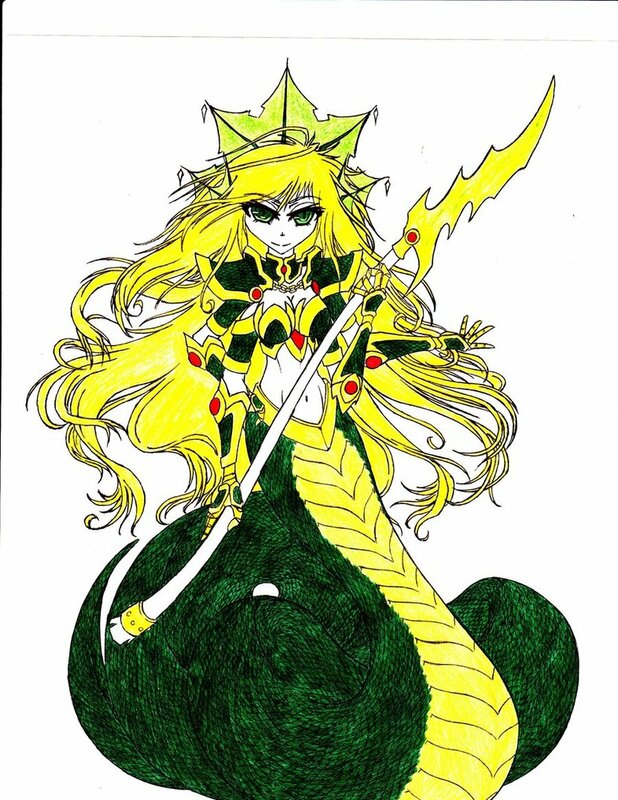 Naga, comes from the sea and destroys everyting on the land. You create 3 illusion of yourself. Your illusion will helps you in farms. With this illusion, you can farms fast because you have more army. You can farm in jungle quickly with helps of your illusions. 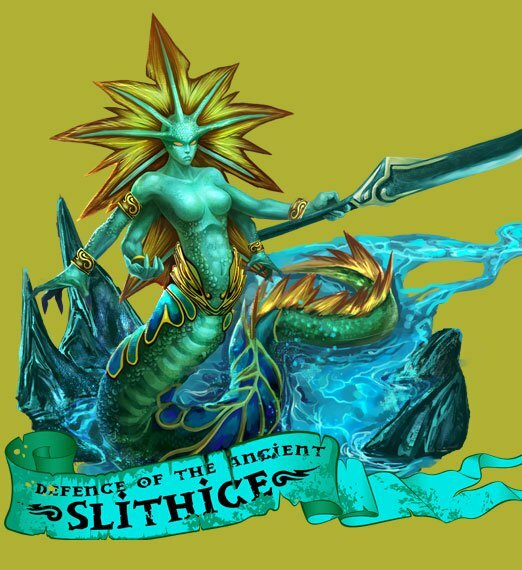 Remember that your illuson can also splash the Rip Tide skill of you so it will faster your farm even more. Trap 1 enemy unit in your net. Very good to torture him. You have 3 images that makes you have a decent damage, you also have RipTide that will reduce enemy's armor. This net trap is considered a long disable, 5 seconds in level 4, a decent disable to kill a single target. With this skill, you will deal some damages and reduce some armor of enemies. 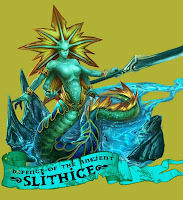 You and your images are all casting this skill, this will makes you can farms in jungle or in another lane, using your image that can cast this and deal damage and reduce armor to creeps. You will be a fast farmer with this farming method. Maybe you can get Radiance or Diffusal Blade in under 20-25 minutes. This skill does not stack, not like Meepo. So the damage will be the same 220, and the armor reduction is 5, although enemy receive this from you and your images. But this skill will larger the AoE because your nearby images also cast this skill. Makes enemy in a wide AoE around you to sleep. A very powerful initiating skill that requires allies to be ready to deal some combo-wombo after this song goes down. Enigma, Dark Seer, and TideHunter are some perfect partner to use combo-wombo after this song. And then your part is to using RipTide to crush enemy's aarmor and then kill enemies using your right click. You can also use this skill to escape, so cast this if you're in danger. Why maxed Mirror Image first? 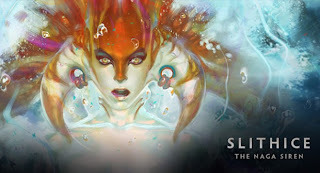 With this skill maxed first, you will get lots of damage potential since the earliest stage of the game, makes your illusions more tanky and also deal more damage. Makes you easier to survive in lane and allows you to jungle easily. Be aggressive with this build, you are more fierce than enemies. Why take 1 level of ensnare on early game? Your goal is to ensnare one target and beat up him with your 3 illusions. Remember that this build have lots of physical damage from Mirror Image. It will be easy for you. lf. Try to get firstblood if you can. I recommend you to start using Images since the earliest stage of the game. 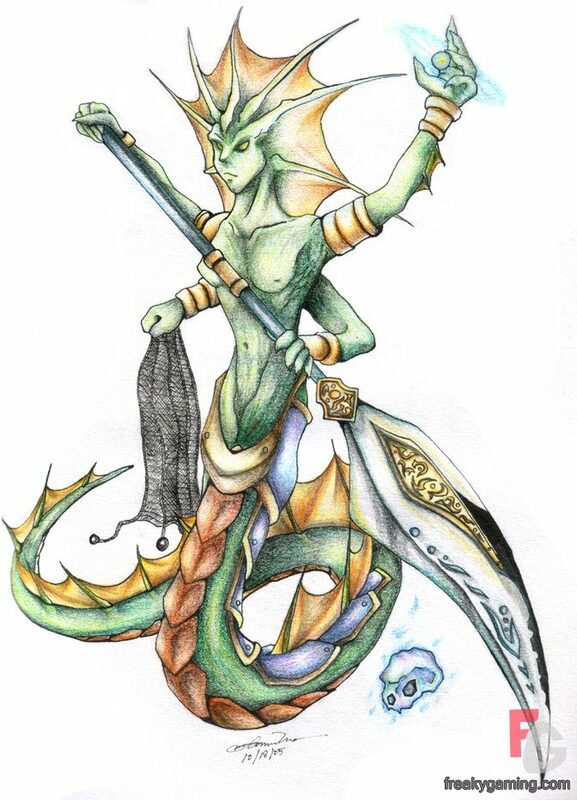 Illusions is your heart, no Naga Siren without illusions. If your illusions came up, no enemy wants to fight you one-by-one if he has no AoE spells. That means that you can conquer creeps area and farm freely. And if you have a chance, Ensnare 1 enemy and beat him up with your 3 illusions. You are strong, remember that, imagine, you are facing DrowRanger 1 vs 1. Just by using Mirror Image, she must run or die easily because of your ensnare + right click for you and illusions. Jungling is also a good option. Using illusions, you can farm quickly in jungle too. In mid game, you have free choice to farm or to ganking. Ganking is not a bad option because Ensnare + Rip Tide + Mirror Image attack is guarantee a kill. And also Song to make you can escape easily. Solo kill is possible if you're facing a non AoE hero. Also you can keep farming whether in lane or in jungle. Keep farming makes you become a decent carry for late game which is your main job for the game. You can start using your combo-wombo here. First, cast Song of the Siren, then you + friends surrounded your enemy and be prepared to cast all the skills. 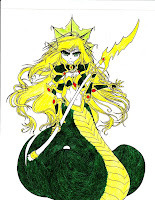 Be prepare by casting Mirror Image, and get ready to cast RipTide. Then - Combo-Wombo! Using Tidehunte, DarkSeer, and/or Enigma will works so well. You have to use RipTide and right click enemies in this combo. With the combo your team have a very high chance of winning the teamfight. You have 2 choices, Power Threads or Tranquil Boots. All of that have it's own advantages. Active: Heal - Restores 170 HP over 10 seconds for the wearer. If you take damage from another player or Roshan, the heal is lost. Why Tranquil Boots? It will really helps you in farming phase. With this item, you can recover HP immediately if you receive some damage. And this boots also have high movement speed that helps you for fast jungling and can helps in chasing enemies. Why Ring of Aquila? You need this to increase your damage to helps you farm and harass enemies. You also need the +mana regeneration for you and your team. You also can buy MKB, its up to you, both MKB and Daedlus is good. Combo-Wombo heroes have skills or ultimate and your skill Sleep will be the perfect set up for them. 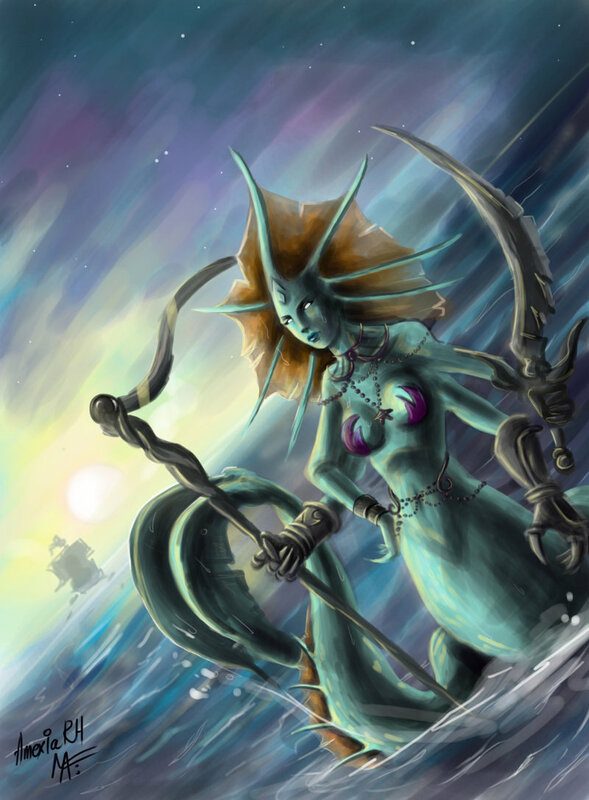 TideHunter: This hero have Ravage that will stuns all enemies in your screen. very good to combo-wombo after your Sleep. Dark Seer: Have Vacuum that will pull-in heroes to a point and makes all enemeis become focused in one area and makes it easier for your team to attacks them. They have AoE spells that easily destroy your images. You can dowload Dota 2 spectator client from Steam. 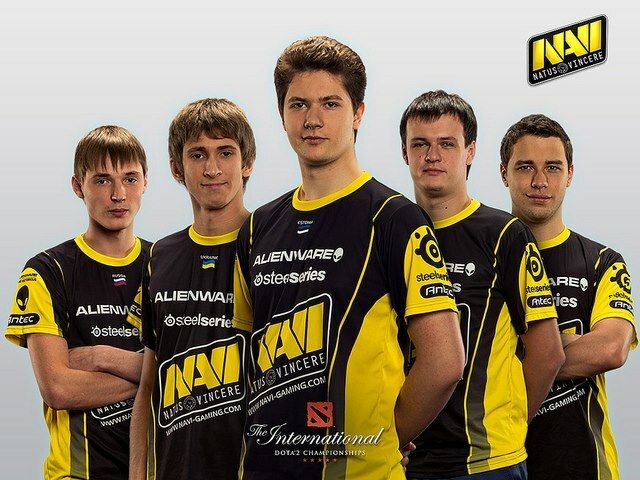 It allows you to watch Dota 2 games and replays and can be upgraded into regular client once you get a beta key. Naga carries the game and gets a lot of kills. Coupled with Dark Seer LGD wrecks teamfights and ensures a rather easy win. Naga manages to farm a lot and get very fat but LGD loses in the end. One of the best games of the tournament that also shows that Naga can't measure to real hard carries. Showcase on how powerfull Gem of Truesight is on Naga. Not very high skilled pub game which you can see when 4 opponents rely on invisibility. The game was pretty tedious for me and seemed like a sure loss, but I managed to save the game by buying a gem and netting kills. A lot better pub game where I'm agressive most of the time and with my team push towers and prevent enemies from getting any kind of farm. I forget to level Ensnare and keep it at level 1 for whole early game.